On paper, Turkey is in the top-20 largest economies worldwide, a founding member of the group of developed economies, the OECD, and also the G20. The economy retains great strengths, not least the size of its population, at 80 million almost the same as Germany, and a median age of just 30. During the 19th century, Istanbul’s Bankalar Caddesi (or Banks Street) in the Galata area became the financial centre not just of Turkey, but of the Ottoman Empire, at its peak covering modern Bulgaria, Egypt, Greece, Hungary, Jordan, Lebanon, Israel and the Palestinian territories, Macedonia, Romania, Syria, and parts of the Arab peninsula and North Africa. The Central Bank and Stock Exchange were both located on this street. Today these buildings are occupied by a commercial bank and the Ottoman Bank Museum. Opposite is the twirling Camondo Stairs, so named after a Sephardic Jewish banking family out of Venice (no one said it wasn’t complicated), widely known as the Rothschilds of the Ottoman empire, who not only financed the state and its leadership, but spent generously in the arts and other charity works. The Ottoman bankers started to fade with the relocation of Abraham Camondo – the first foreigner to own land in the Empire – to Paris in the late 19th century. The last members of his family perished in the horror of Auschwitz. The world changed. While the bricks and mortar history is still visible, many of the shops on the avenue are today taken up with electrical and lighting supply stores. But some things remained the same. 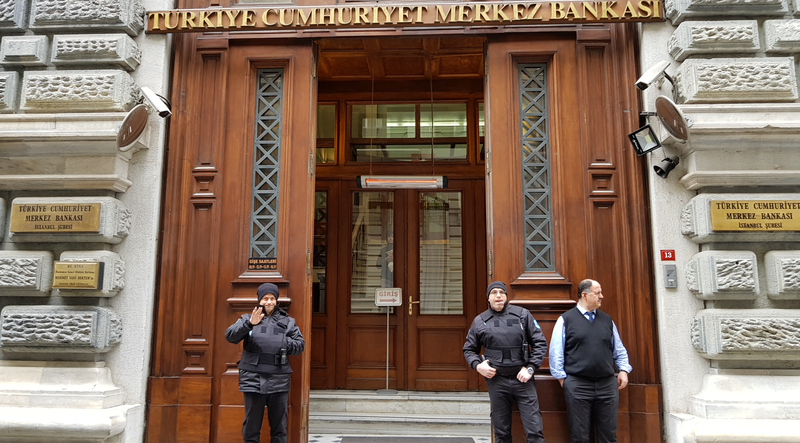 Istanbul’s banking tradition has continued through the rise and fall of empires, the move of most bank headquarters and the Stock Exchange to Istanbul’s modern business districts, and of the Central Bank to the capital Ankara, and regular crises, especially following the lifting of strict controls in the 1990s. Istanbul’s stock market capitalisation is now $220-billion, and the banking sector is active across the Middle East, Eastern Europe and Central Asia. And many of the domestic cyclical boom-and-bust problems remain. Today Turkey’s economy is in recession. This has its roots in politics. According to official stats, the economy shrank by 2.4% in the fourth quarter of 2018, making it two quarters in succession, the definition of a recession. The immediate cause is a trade spat with the United States. In August 2018, Donald Trump tweeted about doubling tariffs on Turkish steel and aluminium. The lira crashed 17% that same day, since losing 40% of its value against the dollar. But there are deeper reasons. On paper, Turkey is in the top-20 largest economies worldwide, a founding member of the group of developed economies, the OECD, and also the G20. It has been in a Customs Union with the European Union, its largest trade partner, for more than 20 years. Although its per capita income of $10,500 classifies Turkey as an upper-middle income country, its labour force participation rate of 56% is well below the OECD average of 74%. Current account deficits have consistently run high as the government prefers to spend its way to popularity, relying on foreign capital inflows to balance the books and top up low domestic savings. The fall of the lira by three times its value over the last five years has made imports more expensive and prompted the Central Bank to raise interest rates, constraining business. Economic growth was just 2.6% overall for 2018, well down from 2017’s growth rate of 7.4%. Ankara’s spat with Washington was sparked by the continued detention of an American pastor allegedly involved in a 2016 coup attempt against President Recep Erdoğan but came as the ruling party’s support in the cities of Ankara and Istanbul was seen to be slipping due to rising food prices (which officially was blamed on speculators) and unemployment. While the government says that the economy should return to growth in 2019, other analysts are less optimistic. Sinan Ulgen heads Istanbul Ekonomi, a respected local consultancy. Rather than invest in improving productivity through education, labour market reforms, and strengthened competition, the government has focused expenditure on real estate development and construction. This has traditionally been the sector from which political rents are extracted. 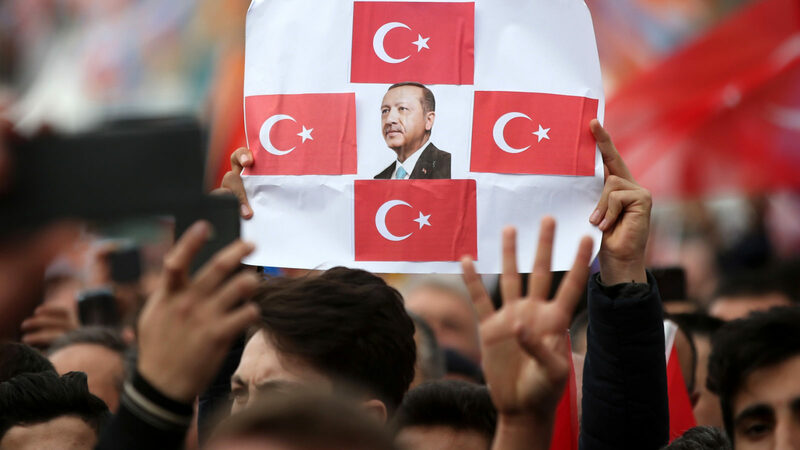 Contemporary Turkey challenges the conventional wisdom that countries liberalise their politics after they reach a certain per capita threshold. Even though it topped a $10,000 per capita income, political regression has set in. While there is active multiparty competition, the political space has narrowed with the new constitution, control of the public service including the security agencies, the instrumentalisation of religion, and control of the media. 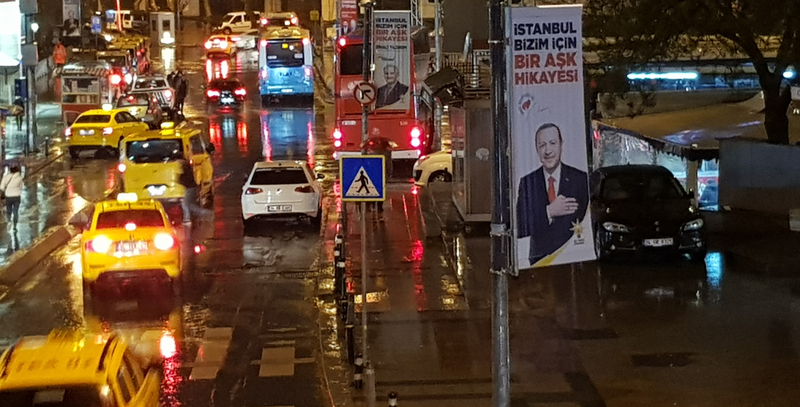 In part, this reflects the extent to which Turkish politics has been steered away from building consensus and achieving a social peace into building a personal platform for Erdogan. Abdullah Gül was Erdogan’s predecessor, serving as the 11th President of Turkey from 2007 to 2014, having been Prime Minister (2002 to 2003), and concurrently Deputy Prime Minister and Foreign Minister (2003 to 2007). He is at pains to stress the economic opportunities now present as a result of “great economic and structural changes” from 2000. 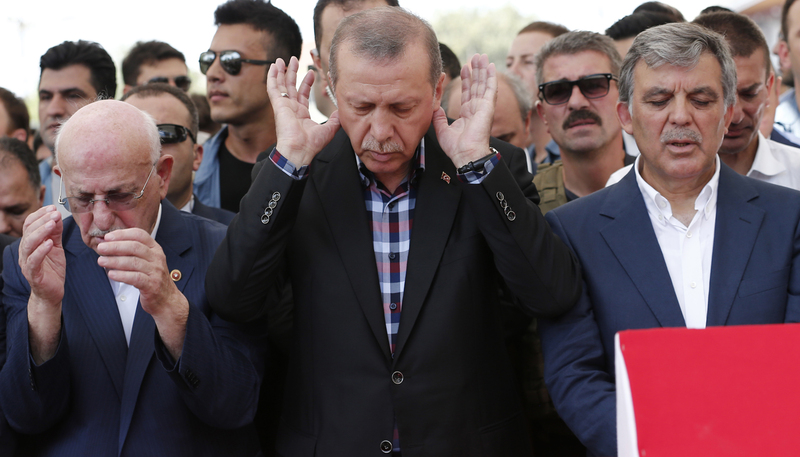 And he prefers to stress Turkey’s market position on the crossroads of East and West and its firm relations with the EU, Iran and Russia than its current economic wobbles. At the end of 2018, Gül responded to criticism from the ruling Justice and Development Party (AKP), which he had co-founded with Erdoğan, over a debate on a controversial emergency decree. Businesses agree, though remain fearful of venturing any opinion on politics. Business hoped, it seems, for a Chinese-like contract, economic growth with political stability and without their opposition to the government. Rather like the frog in the pot, no matter how well it can swim, if the water is boiling, it’s a dead frog. The former president confesses that fears, however misplaced, about economic and political stability are discounting Turkish assets and adding a premium for much-needed foreign direct investment. It may well be a good time to invest in Turkey because of the mispricing. Moreover, the economy retains great strengths, not least the size of its population, at 80 million almost the same as Germany, and a median age of just 30. Turkey is a top-five producer of a range of agricultural goods, including various nuts, fruits (including cherries, figs, apricots, pomegranates; quinces, watermelons; apples), vegetables (cucumbers, green peppers, lentils and chickpeas, tomatoes, eggplants, sugar beet), as well as olives and tea. The consumer electronics industry has boomed this century while Turkey is in the top 15 producers of cars worldwide, with 1.5 million units annually, nearly three times SA’s number. Some 80% of these are destined for export. The country possesses perhaps the most diversified industrial skill-set from Germany to China. It’s not just in manufacturing and banking that Turkey has succeeded, but also logistics. Turkish Airlines now flies to more countries than any other carrier, more than 120 countries. Due to be opened this April, Istanbul’s new airport will be able to handle 90 million passengers annually, ranking it in the top five globally, which will rise to 200 million passengers over the next ten years, twice the current capacity of Atlanta, now the busiest. It’s a serious and sophisticated place, though its politics make it difficult right now to realise its potential. The Ottoman empire collapsed under the weight of external borrowing to finance the increasingly extravagant tastes of the elite. Their interests became inimical to the country’s position and progress. Along came Mustafa Kemal Ataturk with an aim of a secular, Westernised Turkey, in pursuit of which he carried out a set of radical reforms which have stood the country in remarkably good stead for 100 years. Dr Mills heads the Brenthurst Foundation and is the co-author of ‘Democracy Works: Rewiring Politics to Africa’s Advantage’ (Picador) to be launched in Johannesburg on 27 March.